WHERE: 9/11/10 The Hudson Hotel. INSPIRATION: 1960’s Housewives. Betty Draper of Mad Men. Designer Yuna Yang with her collection. VERDICT: Retro housewives gone glam. Perfect wedding wear, or evening wear for those with vintage sensibilities. 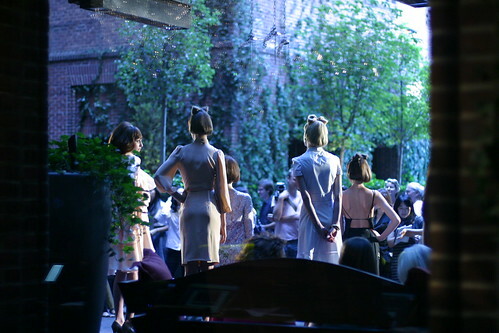 Hudson Hotel, September 11, 2010.